Everyone knows what it feels like after swimming in a chlorinated pool - dry, itchy skin, straw-like hair and red eyes. So why would you want to shower in it? 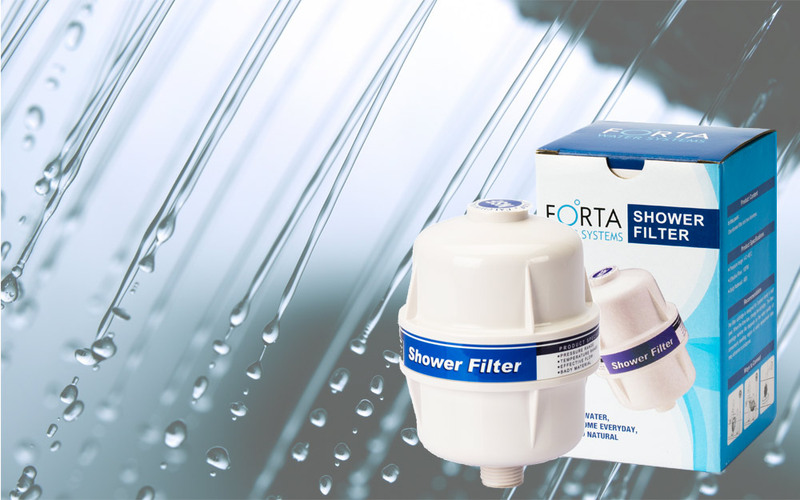 The Forta Systems shower filter helps your family enjoy bathing in filtered water with a simple attachment to your shower line. Our unique shower filter system reduces 91% of the chlorine in your water, and also reduces synthetic chemicals and enhances pH balance. This means that you'll be able to enjoy the health and cosmetic benefits of showering in clean water, like reduced asthma symptoms and softer skin and hair.